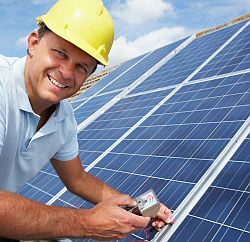 So how and what can you hope to save by installing solar power onto the roof of your home? There has been and in some cases still is, a large misconception out there by some Aussie householders in various communities, that the only way to save is via the 6 to 8 cent rebate. There are some homes in Sydney that we know of, where the size of the solar system is to great and thus the payback time far longer. Sending any excess power not used during the daytime, back into the grid. Where you get a rebate of 6 or 8 cents per kW. Technically reducing a 30 cent tariff to 24 / 22 cents. If it was the case of solar power not being profitable under the net metered system, then we would not see solar power systems still being installed in many streets around Australia. It is only the solar power savvy householders whom really save off the electricity bill. These householders understanding 100% how the net metered solar power system works and making the move if it is suited, to install it into their home. It may be the media has led some of you astray, by reporting that solar power in Australia is dead since the end of the gross metered system. But that is not the case as some homes can save dramatically off the electricity bill, with a net metered solar system. It really comes down to the amount of power you are using on a daily basis during the sunny hours of the day. As this is the power your solar power system is going to be providing you with, saving you what you would normally being paying for. Further more by directly offsetting electricity costs, you save more as the cost of the electricity rises! Now this surely has to be a great idea! A 3kW solar system in Sydney could easily generate up to $7000 of free electricity from the sun when offsetting electricity at 30 cents per kWh. So what are you waiting for? Why not call Aussie Home Energy for more help and at least check out what we have to offer on the subject of SOLAR POWER NET METERING.